This is the Hobbywing Xerun SCT Pro Sensored Brushless ESC. Don't let the name fool you! 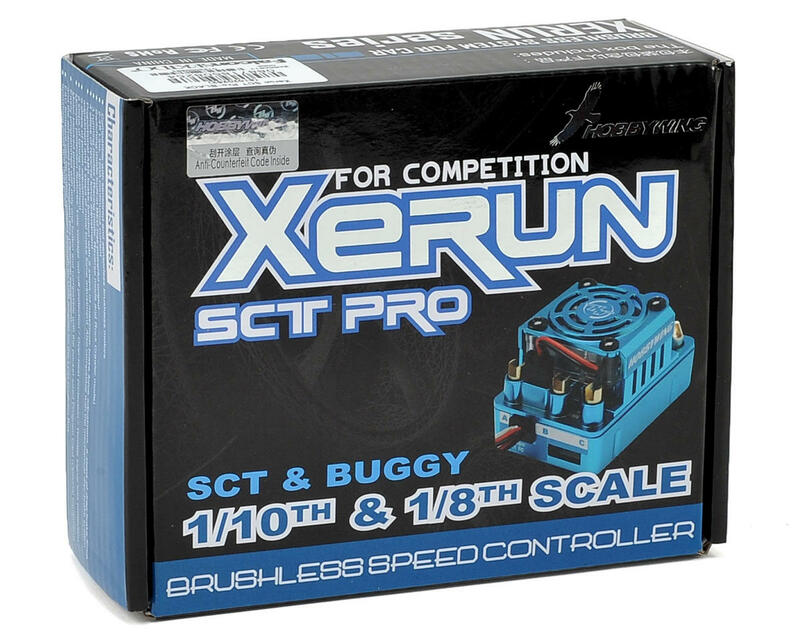 The Xerun SCT Pro isn't just for Short Course Trucks, it is also a great solution for 1/10 and 1/8 scale on-road and off-road applications. Within the use of its 2-4S LiPo limits, the Xerun SCT Pro is highly capable and features 120 amp continuous current, sensor support and easy programming. * Note #1: The cooling fan is powered by the built-in BEC of 6V. 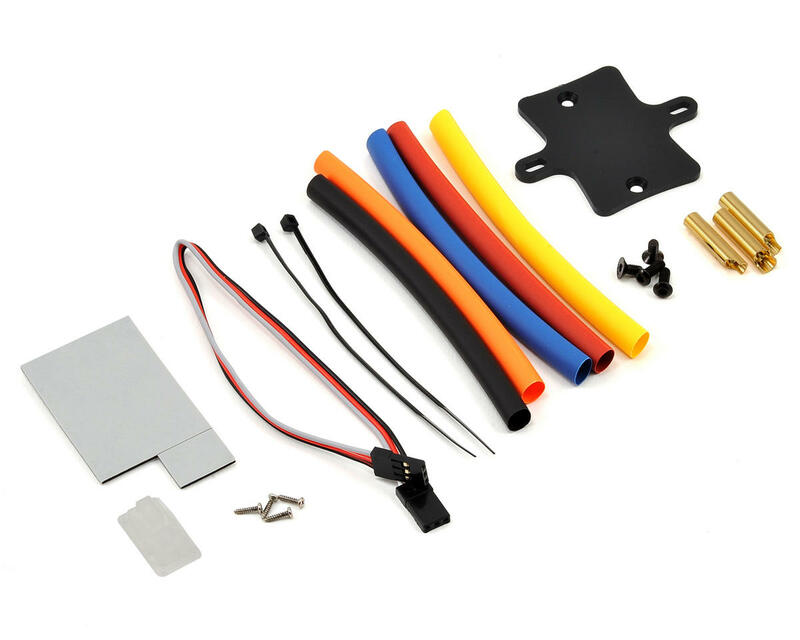 Smooth, lightweight, and durable for 1/8th Scale Buggies, or 4wd SCT. I prefer it over my Tekin honestly. Hard to believe it's so good for the cost. Have run this ESC into the dirt with my SCTE 2.0 and I can honestly say it is very tough and has always delivered smooth and consistent power to my HW 4700kv motor. The LCD programming board is a really nice feature to have with this ESC and makes setup and on the fly tuning as simple as it gets. On the flip side, the bummer is the very weak internal BEC. It claims 6v @ 3amps and that is all your going to see from it ever. If you run a high voltage servo like I do with my power hungry Futaba 9352HV, then you will definitely be needing an external BEC! After about half pack and lower, the power loss to the servo is unbearable with mushiness to the point that I was almost out of the race with my truck turning like a tractor trailer on a right hand turn if you know what I mean! For the motor, this ESC can't be beat and for the price point especially. But the onboard BEC leaves a lot to be desired. I acquired this through a different vendor but I'll drop a review here since I do own one. I've been running Hobbywing equipment in my rigs since I got into the hobby several years ago and they always surprise me. HW is an OEM brand that makes referenced hardware that you see get re-branded a lot and is rather common in the RTR scene under many different re-labels. There really isn't much out there with the price/performance ratio as perfect as their kits. 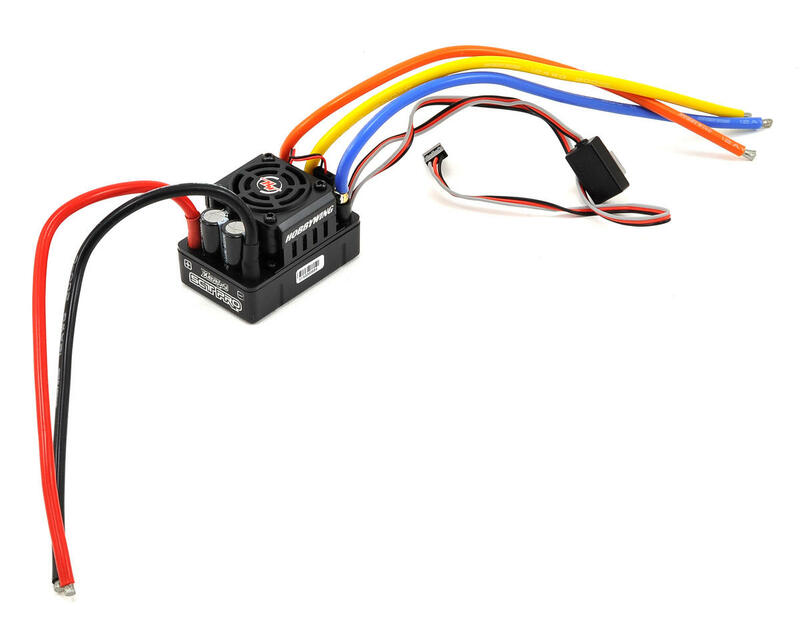 The SCT-Pro is an awesome sensored ESC for the cost, it handles power very well, and runs at modest temps. It has a capable internal BEC that's never glitched on me, despite running a savox 1258 servo, leds, extra motor fan, and a transponder all at the same time. I use it in my Tekno SCT410 with their 3656SD 4000kv 4pole motor and it tears the local club tracks, easily keeping up with Tekin systems that were twice the cost. The sensored mode is very smooth and linear, it doesn't seem to jaunt at any point in the throttle range like some do and it's a pleasure to drive. The field programmer you can get with it is really nice as well, it doubles as a per-cell lipo monitor and it allows you to modify ESC settings by simply plugging it into the fan port. Since Hobbywing also makes surprisingly great mod motors, it's worth trying to get the combo version of this ESC if you can find the HW motor you like in the right KV. I am surprised how good this ESC really is. My Tekno is 7.2 lbs. running an SMC 4 pole 4500 and it is competitive. Super impressed! Previously ran Tekin but was frustrated with having to tote my laptop to the track. Installed this in my rc8 and used the small program box and I couldn't be happier. Simple enough so no wasting time! Several friends have it and is quite durable and smooth. One of them even runs it with no fan and it works really good. I bought one (in other vendor) but unluckily burnt un about 10-12 LiPo. Nevertheless, probably I will purchase another one in the future. This speedo is a fantastic value,I have it in my SCTE 3.0 and it rips! I'm using it with a Tekin Pro 4 HD 3500 KV and 2S. I wish this version had the newer electronic switch, but for this price and performance I'm really happy. The best ESC ever. Ideal for any offroad application. I hace two. Used in AE SC10, Sworkz buggy 1/8, and Kyosho SC6.